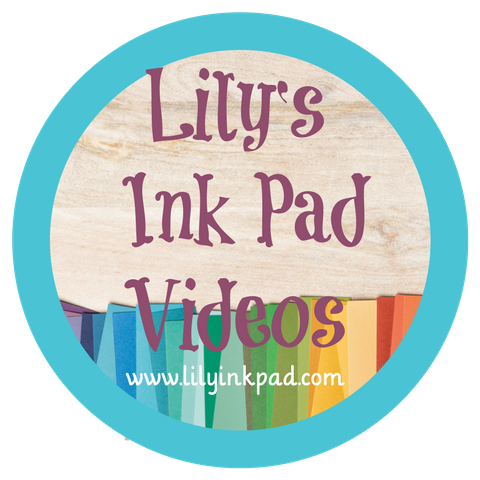 Lily's Ink Pad: Game Night Fun in a Box! I've been a bit under the weather lately. Well, knocked out with a cold and now this crazy headache thing. I've been sleeping 10-12 hours a night when possible, drinking my tea and Airborne, and doing my best to keep up. Sorry for the lack of posts. I have a whole line-up in my head, but I need some healthiness to finish them! Here's a good one, though. Saturday was my Beat the Winter Blues Stamp Camp. As I prepared for this event, I brainstormed all the things that help me get through winter. Games is a big one. 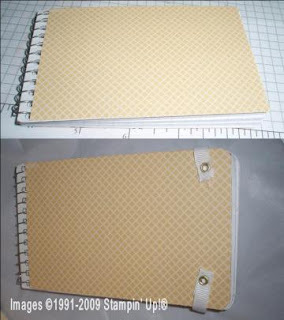 When I saw this paper, set, and wheel in the preview for demonstrators, I knew it was mine! It's just so fun! First, I made this coaster box. I wanted it to hold stuff, but wasn't sure what, so I kept it quiet. I got my coasters at an establishment which left a huge pile in front of me. Well, actually, in the middle of a table of demonstrators. 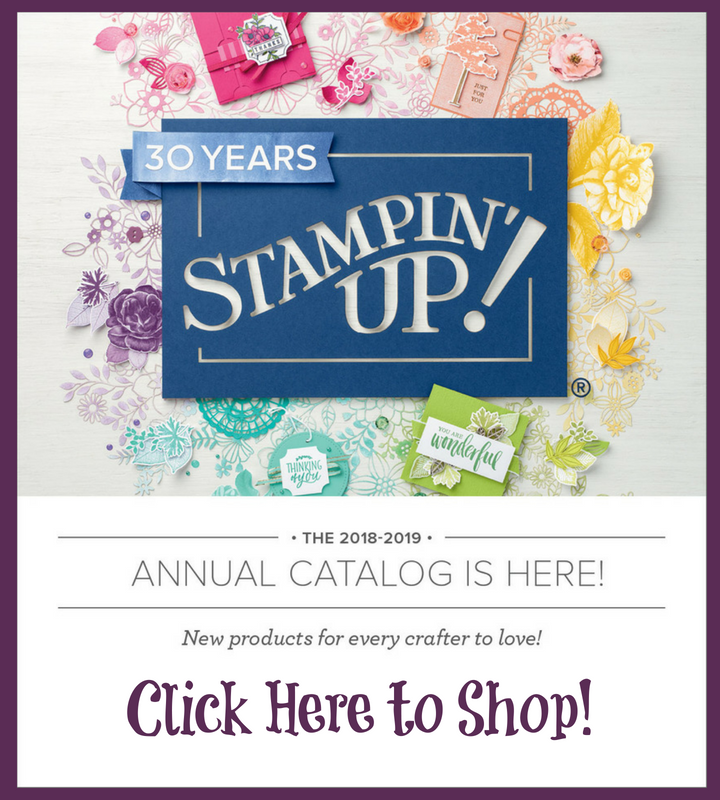 We were at the quarterly Dinner and Stamping last summer. I was prompted that we spent enough in the restaurant that a few coasters would be fine to take. We should have been using them, but no one was really drinking, so they were unused. Funny, how I justify this! Anyway, I was challenged to come up with a great project using them and here it is. Accessories: Crop-a-dile, Whisper White, Basic Black, and Very Vanilla 1/4 Grosgrain Ribbon. Modge Podge. 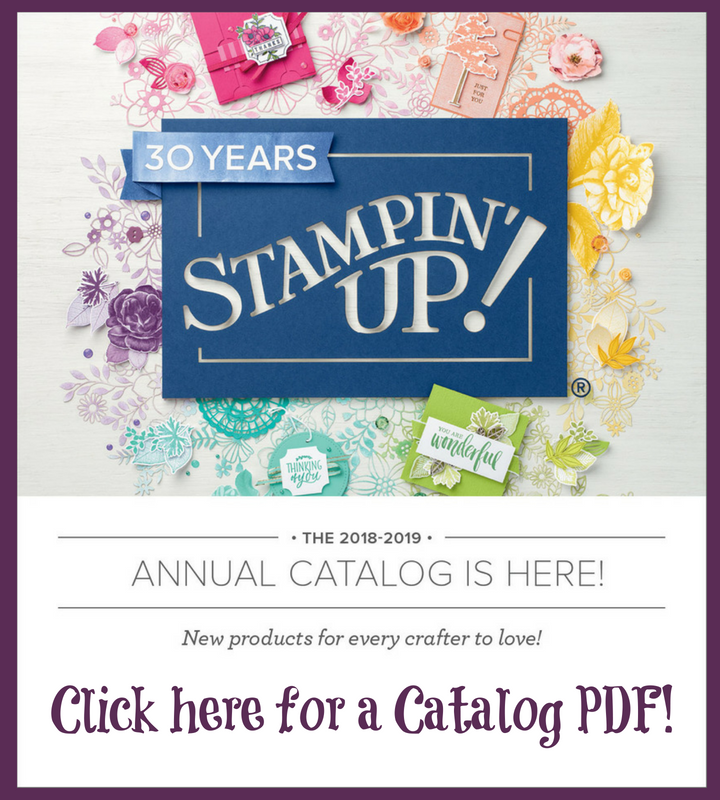 This box took a while, so I knew it wasn't a stamp camp project the way I like them, so I kept thinking and thinking and thinking. As one of my students said the other day, "Thinking is a lot of work." 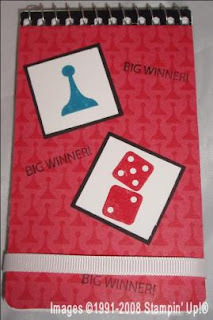 I came up with this handy dandy notebook for keeping score! Finally, I decided that I needed a fun pencil to go with the pad and box. I found a demonstrator challenge on Splitcoast, so went for it. I learned the technique from Angie Tieman's blog. How fun and easy! I used my large circle, the 1/4 circle punch, black hemp, and a clear button for embellishments. This is really cute. How did you make the box. tWhat a cute idea!! 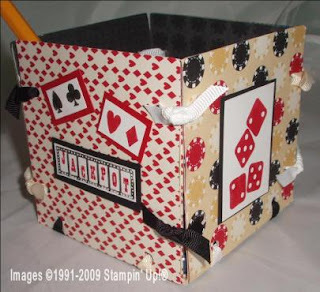 My DH and I frequently play pinochle with my in-laws, and this looks like a great way to have your cards and all handy. I think I will be making one of these soon. p.s. where did the coaster come from? Love it! 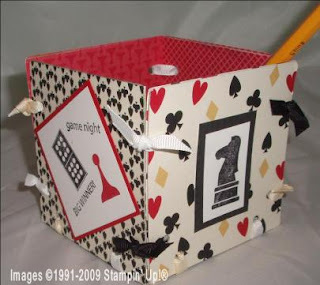 Did you use coasters to make your box? I think this would make a nice gift! love it! 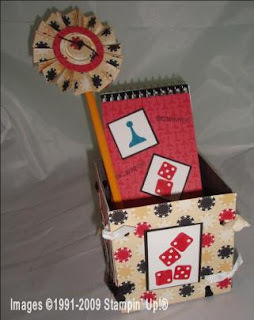 Makes a cute way to keep score - much more attractive than a scrap piece of paper!